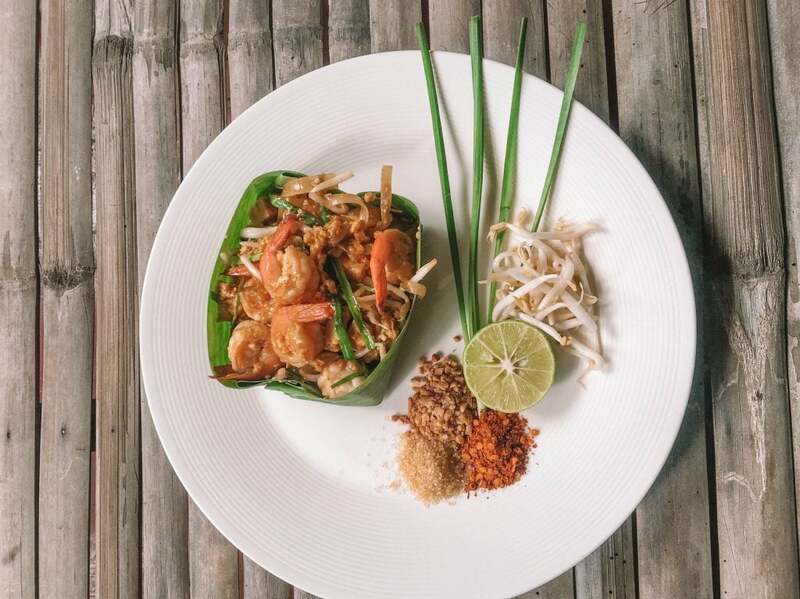 If you want to learn to cook Thai cuisine, do it at the best Chiang Mai cooking class! 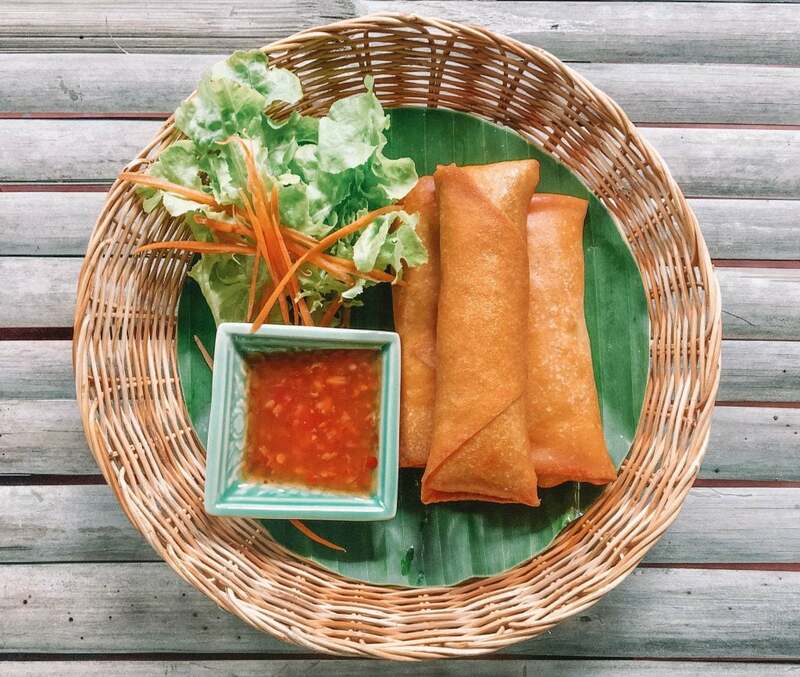 Take a bit of Thailand home with you and impress your friends with your cooking skills. If you’re looking for a cute date idea, we definitely recommend a private cooking class in Chiang Mai, especially for couples. Learn to cook pad Thai, khao soi, tom yum, spring rolls, papaya salad, mango sticky rice and many more delicious Thai dishes. The best Chiang Mai cooking class takes you to the market and teaches you to cook everything from scratch using fresh local ingredients. We had an incredible time learning the art of cooking Thai food on our Chiang Mai honeymoon! There are SO many places to do a cooking class in Chiang Mai, even in Chiang Rai and Bangkok too. But what is the best Thai cooking class, Chiang Mai? 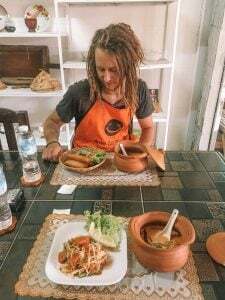 What To Consider When Choosing The Best Chiang Mai Cooking Class? How much time do you want to spend in the kitchen with your cooking class in Chiang Mai? Do you want to learn how to cook a dozen Thai dishes or, do you only have a short amount of time in Chiang Mai? 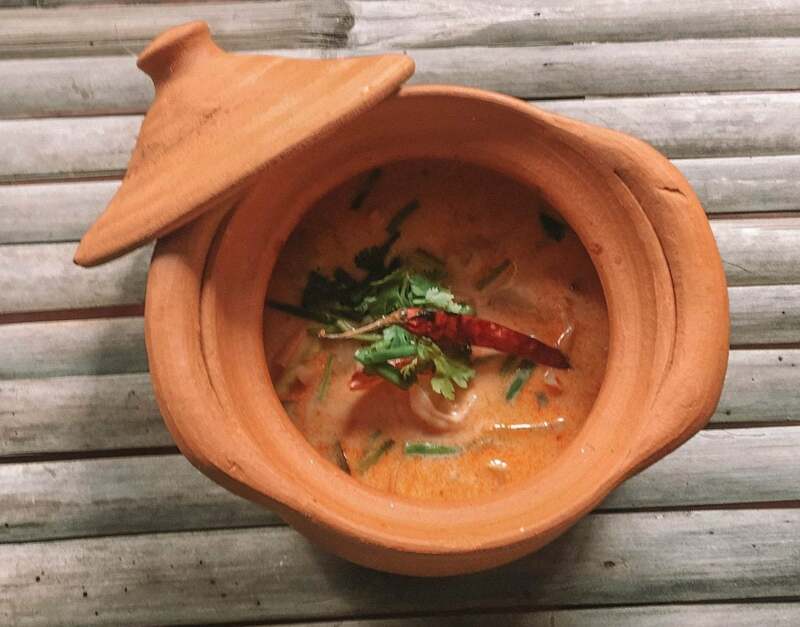 If you’re only in town for a limited time, we recommend a Chiang Mai cooking class – half day. For us, a half day cooking class Chiang Mai was the perfect amount of time! You can either opt for a morning or evening Chiang Mai cooking class (half day). 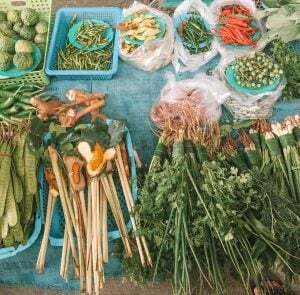 We recommend a morning cooking class in Chiang Mai as the local market tends to be buzzing during the morning. 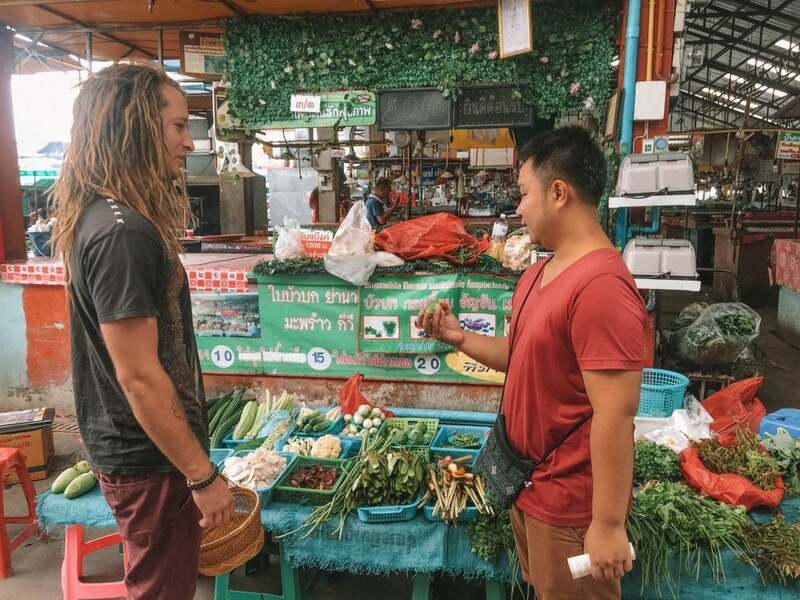 Your Chiang Mai cooking class (half day) starts off with a trip to the market to source fresh, local ingredients to cook with. If you’ve got dietary requirements, most places cater to your needs and offer a vegetarian cooking class, Chiang Mai. The best Chiang Mai cooking class offers a range of Thai dishes that you can learn to cook. From pad see ew, to pad Thai, khao soi, green curry, mango sticky rice and SO much more. The best Chiang Mai cooking class lets you choose an array of dishes. Typically this includes an appetiser, soup, curry, stir fry and desert. In your Chiang Mai cooking class (half day), you usually cook about 4-5 Thai dishes. Whereas your full day cooking class in Chiang Mai offers around 7 different courses. You eat everything that you cook, so make sure you turn up with an empty belly and a big appetite! Majority of the schools that offer a cooking class in Chiang Mai is located within the old city or surrounding suburbs. There are some cooking schools located on a farm which are outside the city. However, if you’re looking for a cheap cooking class Chiang Mai you’ll probably find that the farm schools are far more expensive. They typically grow their own fruits and vegetables, which is pretty awesome, however, you pay a premium for this luxury. To be honest majority of our produce comes from the same place, a local farm. We just happen to purchase it from the market, rather than their own garden. Travelling to the farm location will also add more time to your cooking class. Therefore your Chiang Mai cooking class half day will most likely turn into a full day excursion. The best Chiang Mai cooking class is located in a convenient spot like near the old city. 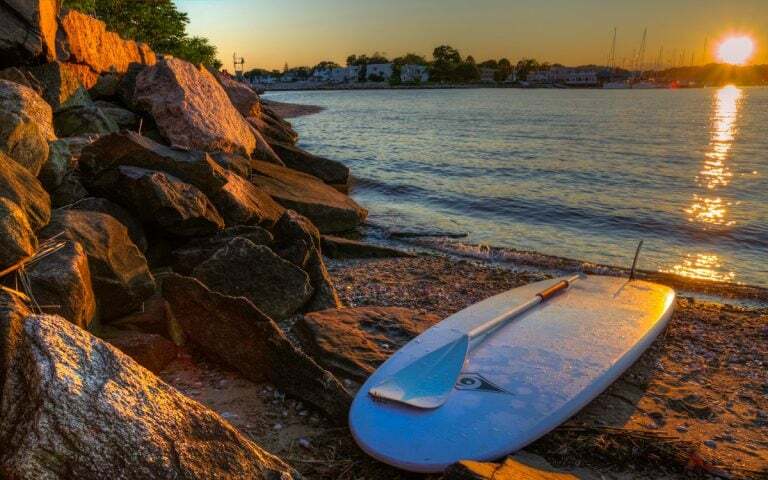 Most schools offer free transport to their location which is another added bonus. If you’re staying at one of the party hostels in Chiang Mai, round up your friends to combine the two best things in the world; food & alcohol! The price of a Chiang Mai cooking class half day usually ranges between 800-1,200 baht per person. Whereas a full day cooking class in Chiang Mai is obviously more expensive, from 1,000-2,000 baht, depending on the school and location. We did find the cooking classes in Chaing Mai to be cheaper here compared to a Bangkok cooking class near Klong Toey market. You don’t need to pay a lot of money to enjoy the best Chiang Mai cooking class! We had a cheap cooking class Chiang Mai at Arom Dii Cooking School, which was less than 800 baht per person. When you think about everything that it includes, this cheap cooking class Chiang Mai is such great value for money! The Best Chiang Mai Cooking Class, What’s Included? All your meals are included with your cooking class in Chiang Mai. 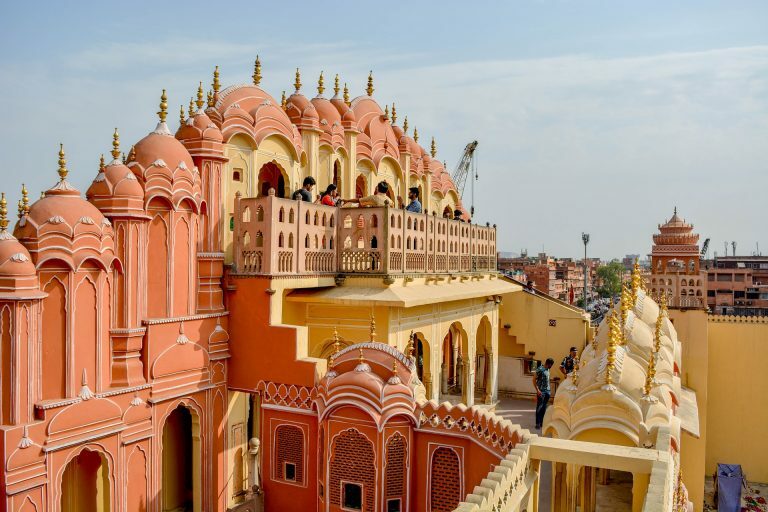 This also involves your trip to the local market where they purchase fresh local ingredients. The best Chiang Mai cooking class includes an awesome FREE cookbook. You’ll have a step by step guide to replicate those delicious Thai dishes you cooked at your cooking class in Chiang Mai at home! The best Chiang Mai cooking class includes free transport, to and from your cooking school. The Best Chiang Mai Cooking Class, What To Cook? 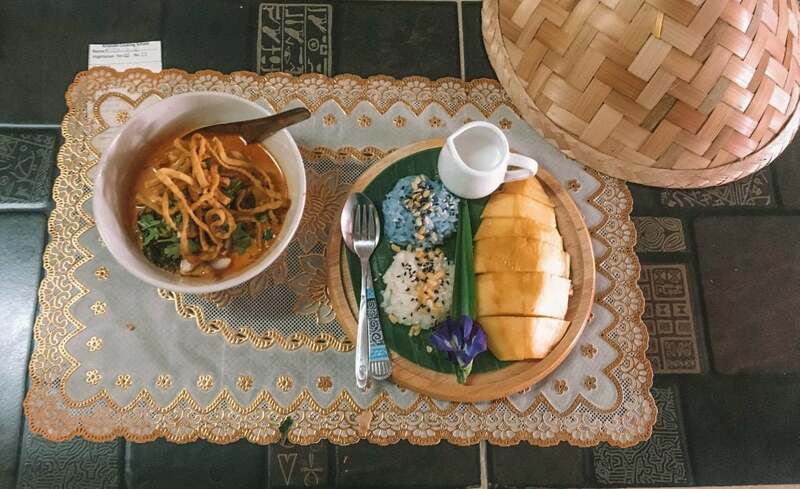 One Thai dish that you HAVE to try and make during your cooking class in Chiang Mai is Khao Soi! 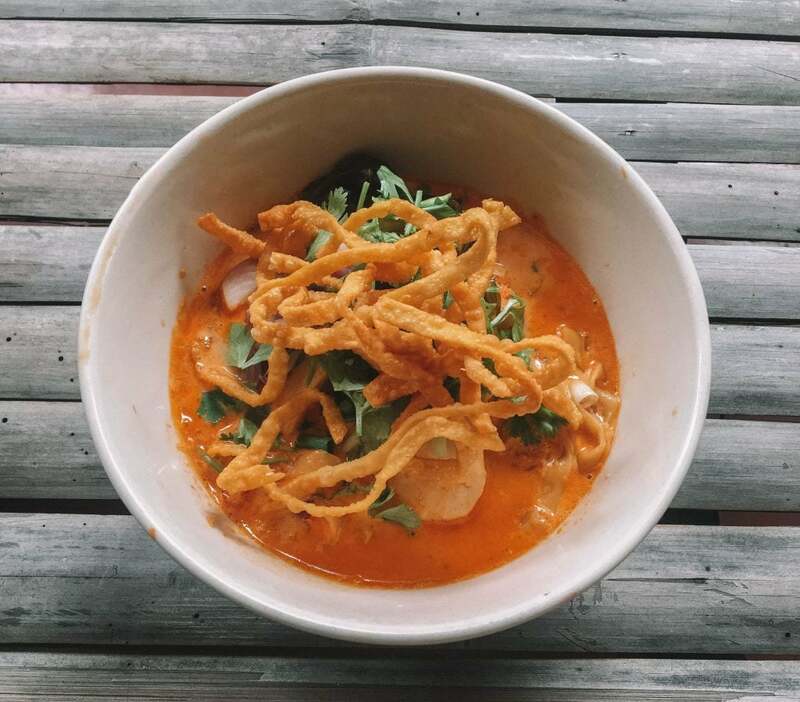 Khao Soi is an incredible northern Thai dish and a Chiang Mai speciality. It’s without a doubt the best food in Chiang Mai, heck, maybe even in the whole of Thailand. 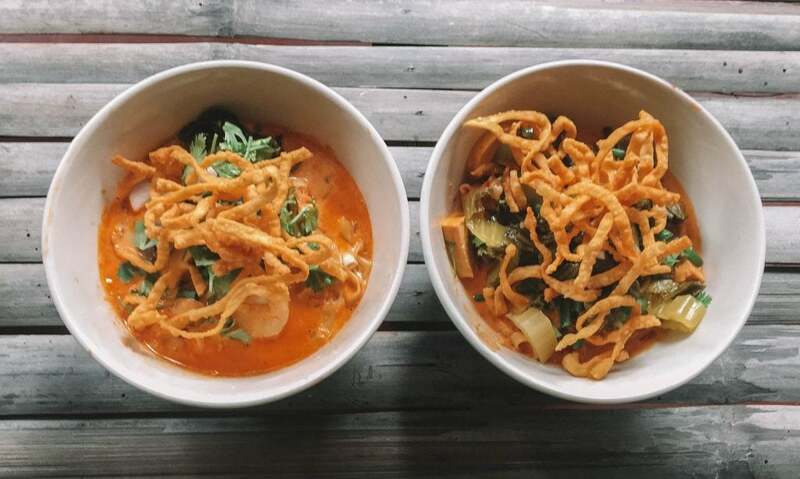 Khao Soi Khun Yai is a yellow coconut curry soup with egg noodles and (usually) chicken, served with pickled cabbage, shallots, lime and deep-fried crispy noodles. If you don’t eat meat, opt for a vegetarian cooking class, Chiang Mai. We just swapped out the chicken for tofu, you can also use mushroom if you prefer. 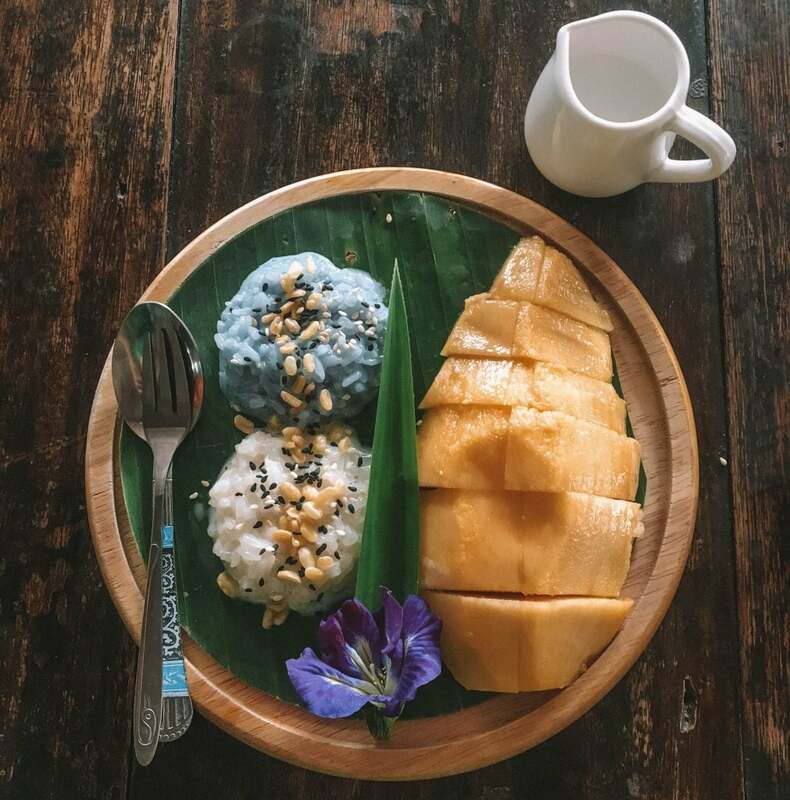 Mango sticky rice is one of our all-time favourite Thai desserts. It’s also such a fun dish to make at your cooking class in Chiang Mai as you get to cook with natural colours. Have you ever wondered how they make green or blue sticky rice? It’s made from pandan leaves and butterfly pea flower, pretty rad hey! This is a super simple dish to make and it tastes incredible. Whip up this epic Thai desert at the best Chiang Mai cooking class, Arom Dii. We booked our cooking class in Chiang Mai through ‘Backstreet Academy‘. 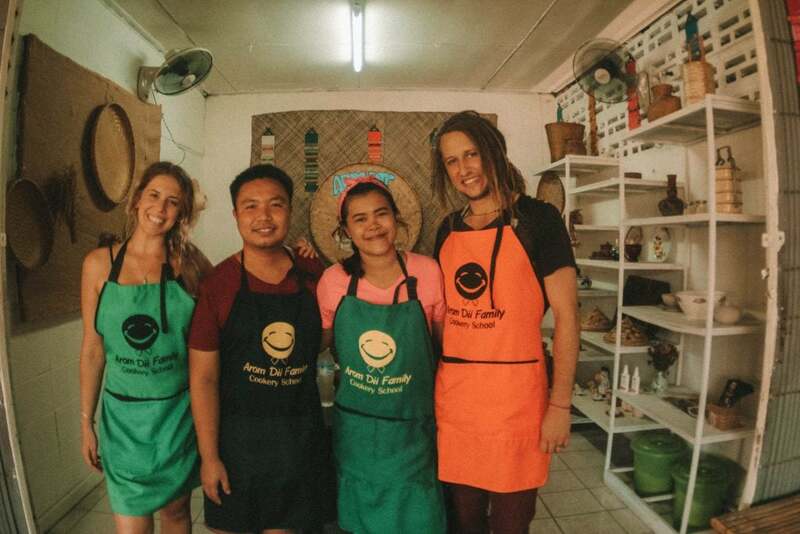 They’re an ethical company who connects local Thai hosts with tourists, creating a positive impact whilst giving travellers an authentic Thai experience. Although our we opted for a cheap cooking class, Chiang Mai, the service and experience impeccable. Our private Chiang Mai cooking class half day was with Arom Dii Cooking school. 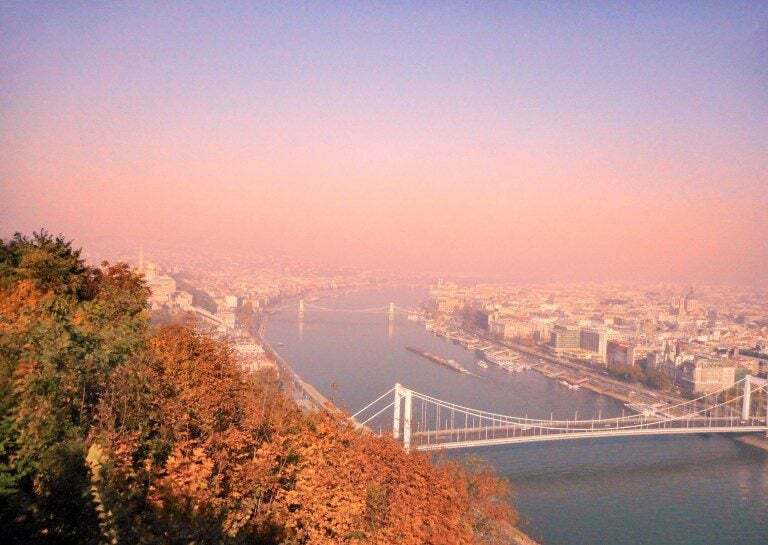 The name translates to emotion + good, which is exactly how you feel when you’re here! 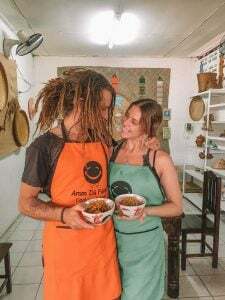 Arom Dii Cooking School is a small business run by two beautiful locals, who wanted to share their passion for cooking with others. 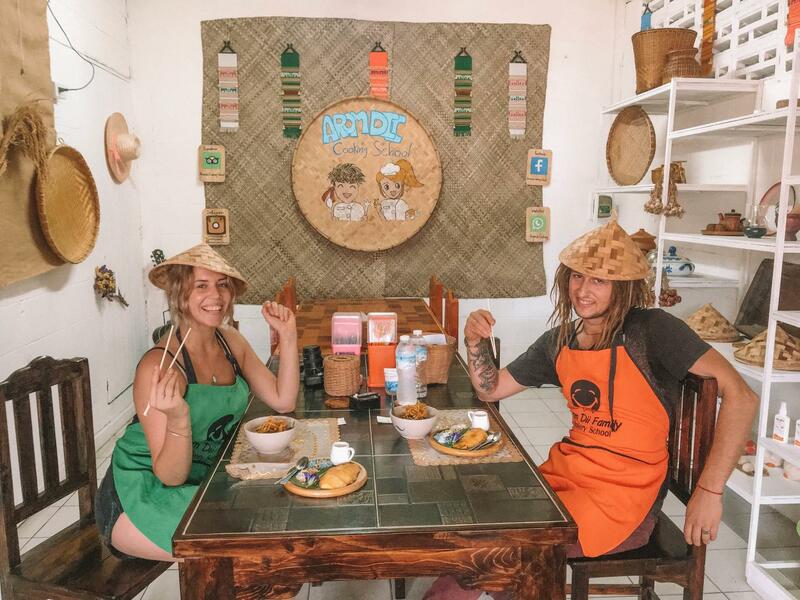 We honestly couldn’t recommend a better place to learn how to cook Thai food. It was one of the best cooking classes around the world that we’ve been to. Their school was impeccably clean and beautifully decorated, with brand new quality equipment. They really went the extra mile to make our private cooking class in Chiang Mai a romantic experience. Their attention to detail is amazing, enabling us to snap some awesome pictures of our Thai cooking. So if you’re looking for the best Chiang Mai cooking class, make sure you check out Arom Dii Cooking School! Book Your Cooking Class Here! What Can You Make At Your Cooking Class In Chiang Mai? We had an incredible time at our Chiang Mai cooking class. Learning about the balance of sweet and sour in Thai cuisine. We’re now able to cook our favourite Thai dishes and will be taking a bit of Chiang Mai Thailand home with us.